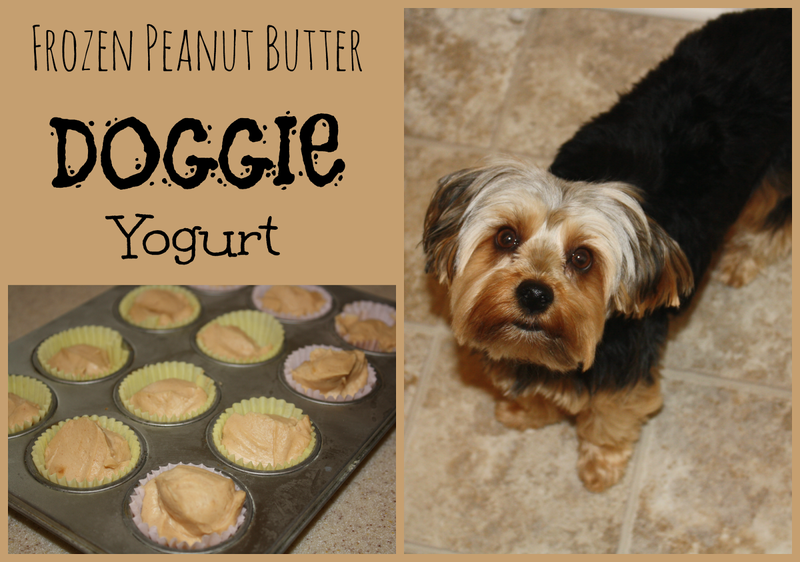 I'm always looking for healthy treats for myself... but I can't leave out Miss Maggie! My friend showed me how to make these awesome - and healthy - doggie treats. 1. Mix the ingredients together in a large bowl. 2. Have an assistant help you lick the bowl. 3. Line a muffin tin (small or large depending on the size of your doggie) with liners. Use a cookie scoop to fill up the liners with the peanut butter goodness. 4. Freeze for about an hour. 5. Give them to a begging doggie! What kind of homemade goodies do you give your doggie? What a great idea! Thanks for sharing over at Market Yourself Monday. I have been looking for a good recipe to make treats for my dog. I will be pinning these and trying them out! Awww! What a cute helper! My kids would enjoy making these for our puppy. Perfect for the summer heat. What a cute pup! And you're so sweet to make him such yummy treats! If my husband and I ever get a dog down the road, we're hoping to get a Yorkie! We've heard so many great things (big dog personality in a little dog body, loyal, protective, good with kids, hypoallergenic, to name a few)...and seeing these pics is making me want one more now than ever! Thanks for your sweet comment on my blog! I've very much enjoyed my visit over here tonight!